My morning reading these days is Julia Cameron. 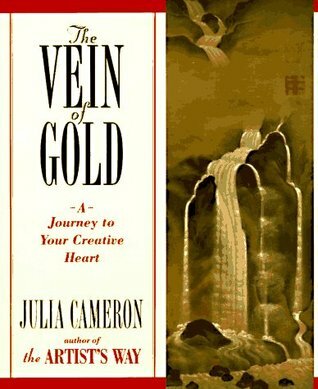 In particular, the second book in her Artist’s Way series, The Vein of Gold. A dear friend gave the whole series to me when she was thinning her book collection. I have a rather ambivalent relationship to these books. I get good things out of the Morning Pages when I do them. I enjoy my Artist Date when I take it. I know the importance of walks and of mending my socks. But after awhile, something about these books makes me feel very much like a victim being rescued. And that, paradoxically, makes me feel very stuck. Much of Cameron’s process involves discovering and acknowledging the wounding of the Inner Child, the source of play and creativity. It is the wounding of this Inner Child that makes for blocked creatives, she maintains. No doubt she is right. I think the recovery model is a good one to apply to creativity. But something about the repeated examples, and the exercises for recognizing and exorcising these blocks, bothers me. The brainstorming I did last week on the theme “thankful” brought up a lot of images related to prayer. During the week I picked one of those images – my father’s “teepee of love,” a ritual unique to our family because he invented it – to explore further. Dutifully I asked myself the questions Linda Barry uses to explore an image in the moment – the ones you can find in her book, or summarized in my previous post. I got some pretty decent, grounded material. And some stuff Cameron might describe as “toxic” came along for the ride. When I went to my freewriting, what wanted to come out was not the specific story, but all the backstory of who my father was, the power he had (and continues to have at 85) over our family dynamic, why this moment encapsulated all the other moments, and how My Father and Our Father were, for better or worse, inextricably linked. “All of us have Creative Monsters,” says Cameron. The “Kill a Creative Monster” exercise involves finding a Creative Monster in your past and lopping off its head. You need not literally kill the monster in the story you tell, she says. “Sometimes, a punishment seems even more delicious.” She cites an example from a former student, creatively blocked by a childhood teacher who focused entirely on her grammar. In the exorcism that this exercise is intended to be, the student put her under a spell where nothing out of her mouth comes out grammatically correct. The point is to create a story in which you mete out a fate which neutralizes the monster and frees you of its power. “I have often been criticized for devising this tool, so I hope you have an excellent time using it,” says Cameron. Do I think it “too bloody-minded” as the other critics do? Do I think enjoying that cathartic storytelling means I am a “really rotten person”? No. Heavens no. I am a great believer in the power of fairy tales. So much so that I fear the power they give me to cast a spell I may not be able to undo. Like Cameron, my creative life and my spiritual life are very closely aligned. What affects one affects the other. 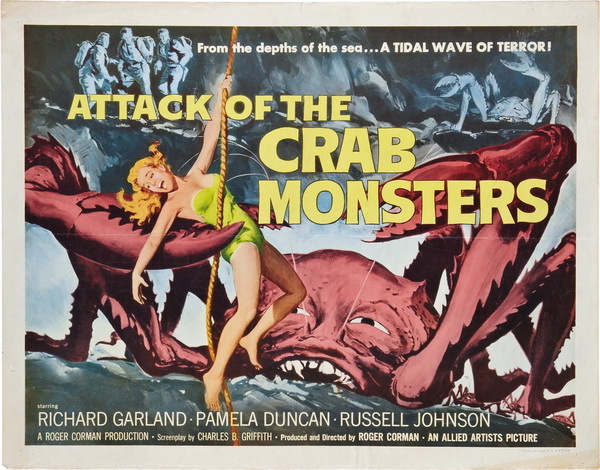 There are a lot of ways in which my father filled the Creative Monster role. But there are an equal number of ways in which he did not. I quite understand the need to free oneself of toxic relationships. But part of being an adult is the maturity to go beyond seeing others completely in relationship to what you need them to mirror back to you. And I think that is an essential part of creative practice, and spiritual practice, too. I know very well that what I write has power. But I do not want to empower myself by demonizing others. If I cannot make the complicated truth elegant and accessible, I would prefer to be silent. I would prefer to listen until I know how to speak what frees and empowers us all. That is why any story I do – whether it is five minutes or fifty-five minutes long – must cut no corners, must be as true and as whole as my full experience and attention will allow. Because what I reduce my father to – or anyone I encounter – is what I will have left of him, and what I will give back to the world. Is this a problem that resonates with you – that you deal with in your own writing or storytelling? How do you acknowledge your vulnerabilities and your Creative Monsters without trapping yourself in the victim role? How do you empower yourself without demonizing others? How do you use your full self – both Inner Child and Outer Adult – to create? « Bah, Humbug: Why I’m feeling like a story Scrooge. Thank you, Nillu! I accept any and all awards sent my way! And would love to participate. Guess I have a new assignment for #MondayBlogs!